LOS ANGELES, Calif. — Los Angeles County Metropolitan Transportation Authority (METRO) features progressive rock band, CANON in an unprecedented environmental event at Union Station (GO METRO to see CANON! ), on Saturday, September 8, 2007, 8:00 P.M. at The Old Ticket Room. The only way to attend the concert is to arrive via the Metro subway or bus and by presenting a valid Metro, Metrolink or bus pass. LOS ANGELES, Calif. — Artist, producer, and film composer Tom Rothrock, legendary vocalist Roman Carter, and a host of studio session pros have completed a unique collaborative project titled: ROMAN CARTER “NEVER SLOW DOWN.” A full length release is due out November 6th, 2007, on the recently re-launched independent Bong Load Custom Records label. MADISON, Wis. – In 2005, Sony Creative Software released Drums from the Big Room, an elegant five-disc collection of 24-bit multitrack drum loops performed by legendary timekeeper Steve Ferrone (Eric Clapton, Duran Duran, Tom Petty) and produced by Grammy(R) winner Greg Ladanyi (Jackson Browne, Don Henley, Toto). MIAMI, Fla. — Ms. Phyllis Sdoia-Satz, well-known educator, author, pianist, composer, clinician, lecturer and Owner/Executive Director of the prestigious music school, Sdoia-Satz Music Institute (The Husky Gang School) in Miami, FL has, this week, announced the opening of a new division of the school: DIMECC, the Division of Music Education Consultants and Clinicians. ADELAIDE, SA — Crysonic today announced the release of SPECTRAPHY LE, a highly optimized look-ahead Brickwall Limiter and Loudness Maximizer based on it’s bigger brother SpectraPhy. SpectraPhy LE has been designed to be used for tracking, mixing, Mastering and Live use or when ever a large quantity of limiters are required per project. CUPERTINO, Calif. — Apple(R) announced on July 31 that more than three billion songs have been purchased and downloaded from the iTunes(R) Store (www.itunes.com). iTunes is the world’s most popular online music, TV and movie store featuring a catalog of over five million songs, 550 television shows and 500 movies. NEW YORK, N.Y. — After the overwhelming success of Rocbeats.com and Rocbattle.com, Grammy award-winning producer, Rockwilder, is ready to take his online success to the next level; he has launched a third site that is currently in beta phase – RocMP3.com. PHOENIX, Ariz. — Users of Windows Mobile phones and wireless handhelds now can get four continuous channels of all-live jazz, blues and Latin performances and complete concerts on-demand through a new partnership between InsideJazz.com and the makers of SelectRadio(R) software. Users of the latest version of SelectRadio software can get the new live music selections in both 32kbps and 128kbps CD-quality streams. HOLLYWOOD, Calif. — With the opening of the new BETA Studio in the Los Angeles facilities of BETA Records, musicians have a new home for creativity. “It was exciting to launch our new recording studio with a week-long album session starring music industry legends, The Temptations,” states Georg van Handel, BETA’s CEO. ADELAIDE, Australia — Crysonic today announced the release of nXtasy V2 and availability in Native Mac OSX AU, VST (PPC /Intel Mac) and PC VST formats. 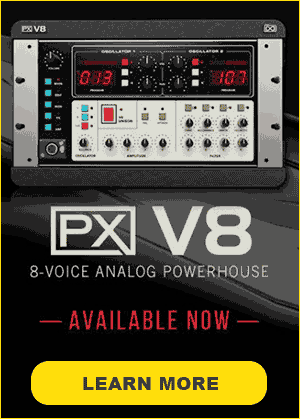 nXtasy V2 is an Analog based multi-Octave Harmonic saturation Audio DSP plug-in supporting 64-Bit internal precision. nXtasy can be used through out the entire chain of music production from tracking, live use to mixing and final mastering. WESTLAKE VILLAGE, Calif. — Blue Microphones, a leading innovator in microphone technology and design, announces the addition of veteran sales professional Scott Schumer in the position of Vice President of Global Sales. Schumer is chartered with the task of growing the sales and support infrastructure as well as utilizing key channel relationships to maximize opportunities in professional audio. NEW YORK, N.Y. — John Petrucci premieres the first entry of Korg ProSessions, a series of videos with practice and warm up tips demonstrated by the artists themselves. A member of Dream Theater, John Petrucci is renowned for his serious guitar chops and distinctive style. ST PETERSBURG, Fla. — TrueFire, an interactive publisher of educational content for musicians, has released two new interactive video courses for guitarists. Total Modal examines the theory, harmony and application of 19 essential modes and scales, while Vamps, Jams, and Improvisation illustrates approaches for developing melodic and rhythmic ideas for soloing and comping over vamps. Both courses are available on CD-ROM or as a streaming video course on TrueFire’s All Access TV. ATHENS, Greece — Soundsnap is a new online platform for finding and sharing free samples, sound effects and music loops. Designed as a resource and community for musicians, sound designers, producers, film makers and web/video game developers, Soundsnap provides user driven content for use in virtually any kind of media production. Users can freely download and upload content to be legally shared and used in any media project. LOS ANGELES, Calif. — Native Instruments announces the availability of the Receptor “KOMPLETE Inside” edition from Muse Research Inc. The versatile Receptor rack-format plugin host system offers musicians and producers an alternative way of running software instruments and effects without using a standard computer. The KOMPLETE 4 bundle includes 12 acclaimed software instruments and effects which have become a mainstay in all areas of modern music production. NEW YORK, N.Y. — JSM Music owner and executive producer Joel Simon and his studio will have their own cause to celebrate at this week’s BET Awards. Tuesday night’s awards will include the world premiere of a new TV commercial featuring Mary J Blige – part of a campaign for Chevy Tahoe – for which Simon and JSM Music played a key role. NEW YORK, N.Y. — Dark horse U.S. presidential candidate and controversial modern artist, Victor-Hugo Vaca Jr., sees Live Earth as a living breathing work of Modern Art. How can the world participate in the largest self-destructing Modern Art Project ever created? By passing along a simple message. A&R Select Announces Battle of the Bands Winner at BB King’s! HOLLYWOOD, Calif. (MuseWire) — A&R Select, a full service artist development and marketing firm for independent artists and bands announces that IDASAS from Redlands, California, has won the 2007 Battle of the Bands competition at BB King’s, located at Universal’s Citywalk. SEATTLE, Wash. (MuseWire) — Protectomatic Music and Entertainment (PME) proudly announces the release of Escape Plan, the new extended play album by Stretching Madness. The first single off of Escape Plan, entitled “Lies in My Head,” is also being released. In conjunction with the new single and album, PME and Stretching Madness will be launching a new website for the band. SEATTLE, Wash. (MuseWire) — Protectomatic Music and Entertainment (PME) proudly announces the release of Jeremiah’s new album, “Love Notes,” on Tuesday, June 19th, 2007. The first single off of Jeremiah’s recording, entitled, “Did I tell you,” is also being released. In conjunction with the new single and album, PME and Jeremiah will be launching a new website with the recording. BERLIN and LOS ANGELES, Calif. (MuseWire) — Native Instruments today released a free library add-on with three artist drum kits for the acclaimed percussion sampler BATTERY 3. The new kits were designed by NI endorsees Gorillaz, Einstuerzende Neubauten, and Turntablerocker, and are based on exclusive custom sounds from these artists’ own productions. SEATTLE, Wash. (MuseWire) — On Tuesday, June 19th, 2007 from 4:00 p.m. – 2:00 a.m., an unprecedented 25% of Moxie’s sales will be donated to three artists that are making a difference as they go after their dreams while supporting charities they believe in at the same time. SEATTLE, Wash. (MuseWire) — Hop Productions proudly announces the release of Fodakis, the new album by Das Vibenbass on Tuesday, June 19th, 2007. The Seattle quartet that is, “crushing the borders of Jazz,” presents Fodakis – a collection of songs that consciously challenge cultural assumptions about the jazz medium. 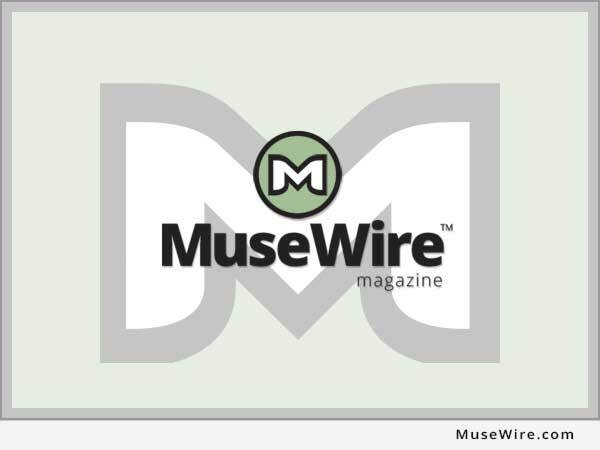 ONTARIO, Canada (MuseWire) — ASK Video Interactive Media, a leading creator of software tutorials on DVD, is now shipping Pro Tools Level 3, completing a three-part comprehensive DVD training course on the most widely utilized Digital Audio Workstation for music production today. NEW YORK, N.Y. (MuseWire) — My Hound Media, Inc. announced today the launch of the beta version of MyHound.com, a website where users sign up for e-mail notifications of new CD releases, concerts, tour dates, and other events related to their favorite artists – from famous rock stars and bestselling authors to indie bands, unknown actors and niche writers. ANAHEIM, Calif. (MuseWire) — A benefit concert in the name of original Iron Butterfly bass player Lee Dorman will be held Sunday June 24th at the Phoenix Club in Anaheim, next to the Honda Center. Iron Butterfly shook the music world in 1968 with the release of the monumental LP, In-A-Gadda-Da-Vida, featuring the 17 minute side-long track that outsold every record in the history of recorded music within the first year of its release.